Rouge USA, a new company formed by the owners of Buenos Aires-based Perfumerias Rouge, one of Argentina’s leading beauty companies, opened its first perfumery in the U.S. in February. 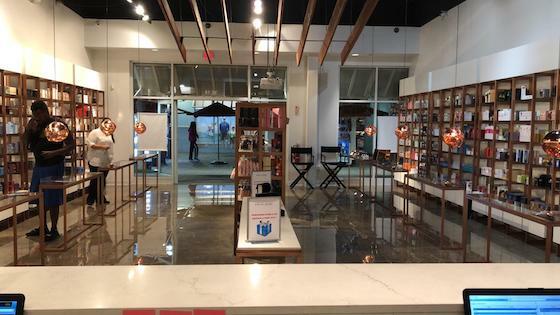 Rouge’s first U.S. store is located in the International Premium Outlet of Orlando. A favorite destination of both national and international tourists, the mall attracts 17 million visitors a year. Rouge is also opening a second location shortly in Orlando’s Vineland Premium Outlet, which is the second largest in the U.S. in terms of traffic, productivity and volume, report Rouge’s owners. The company has three more openings projected for 2019, and is planning to reach 20 points of sale by 2023. A beauty leader for the past 30 years, operating both distributor and retail networks in South America and the Caribbean, Rouge believes it will be able to exploit its competitive advantages to debut in the U.S. market. “We are bringing a completely different offer to shoppers in the outlet malls than what they are used to see,” explains Marco Bordoni, head of the family-owned Rouge USA. “Instead of offering discounted goods with poor customer service, in a store with little or no luxury environment, which is so often the case in outlets, we are designing beautiful, upscale stores staffed by fully trained BAs. Some of our stores will even have cabins or spas,” he says. More surprisingly, the Rouge stores will not be selling products at discounted prices, which the industry perceives as often cheapening the image of prestige brands. Instead, Rouge will offer a range of special promotions, such as buy two, get one free. In another break from tradition, Rouge will be working hand-in-hand with the brand-owners to design each promotion, thus allowing the brands to have full control over their products and its image, says Bordoni. “Brand-owners would choose which products to feature, and how they would be offered. Instead of having to open and invest in individual outlets, with all the costs involved, manufacturers are able to take advantage of the shops we operate, but still maintain control over their brands, even with promotional merchandise,” he says. “Rouge is seeking to become their exclusive partner inside this competitive market segment, where too many manufacturers have lost control over their products and how they are exhibited at the point of sale. We want to work together with them to drive the segment to develop this upscale environment. “We think that this system can help manufacturers restore control over their products and regain the prestige their brands deserve in this competitive retail segment, where beauty brand image is generally undervalued,” he concludes. The company reports that initial response from a growing number of top brands has been very positive.